The world is a small place. Back when Dan was in Jr. High he was fortunate enough to attend a recording session. The session was for his percussion instructor’s parents 50th anniversary. 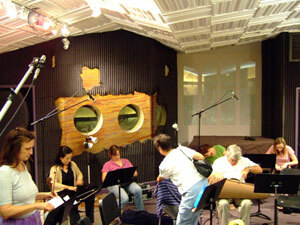 Dan’s percussion instructor, Johnny, had arranged a song and brought in various musicians to record the track. Durring this experience Dan was about as tall as the recording console in Chaton's Studio B. Well, years down the road everything comes full circle, Chaton was the first studio Dan had ever seen. These days, Dan has had the privilege of working with Chaton on a few projects over the years. Specifically when it comes to ensembles or remote recording.